If you play the position of goalkeeper in the game of soccer, it is important to know how to choose the right gloves for the task. During soccer training, it is important to have these available for use. As a goalkeeper, you are required to come in contact with the soccer ball and maintain control of it through the use of your hands. Having the right pair of gloves for goalkeeping in soccer can mean the difference between a game won and a game lost. Here, I will express some of the key components of the gloves that will allow you to decide what type is right for you during soccer training. 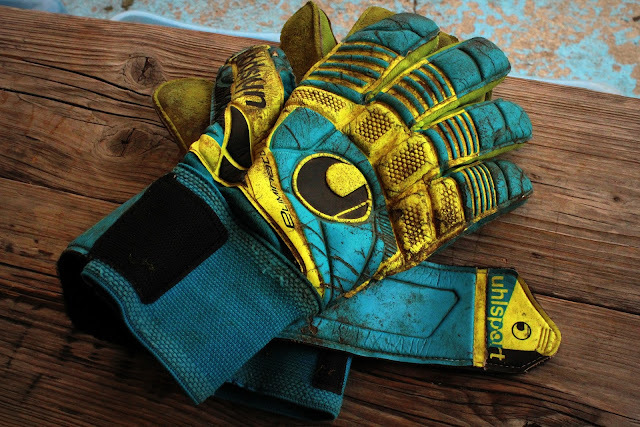 When choosing the right gloves for goalkeeping in soccer training, it is essential to understand that price has a lot to do with the overall quality of gloves that you are trying to obtain. The goalkeeper's gloves will help that individual maintain a grip on the soccer ball. You should never bypass a pair of gloves that have a really good quality to them simply because of the price. Paying higher for goalkeeper gloves that have excellent quality is much better than losing a game because you bought the cheapest pair that you could find. You can find these cuts in rubber, hard latex, soft latex, and other textures. It is important to select a texture that you are comfortable with. The texture that you choose for your goalkeeping gloves should be comfortable enough that you can maintain a tight grip on the soccer ball during soccer training. If you find that you are unable to maintain a good grip during soccer training, you should experiment with an assortment of gloves until you find a pair that works for you. When selecting the right pair of goalkeeper's gloves for soccer training, it is important to ensure that they are a right fit for you. If the gloves are too tight, it will make for an unbearable soccer training session. If you purchase gloves that are too large, the grip that you have will suffer. You should purchase a pair of gloves that allows you a little room to move, but are not too loose. As you can see, choosing the right pair of goalkeeper's gloves for soccer training can be a tedious task. However, by using the basic knowledge of the position of goalkeeper, knowing a different kind of materials that are used to create the gloves, exploring the different cuts of gloves, and selecting the right size, it can be relatively simple. If you are still unsure of what kinds of gloves are best for soccer training, you should consider asking a coach or a more experienced person to assist you in selecting the right ones. You should engage in stretching your calf muscles for soccer training approximately a half hour before the start of the practice session. For the average adult, you should stand to face a sturdy wall. The wall should be able to hold your weight for an extended amount of time. You should stand anywhere from two to three feet away from the wall. Once you determine that you are in the proper position, you should take your left foot and place it approximately one step in front of you. At this point, you should begin to bend the knee of your left leg slightly. It is essential that you keep your left foot flat on the ground. You will want to allow your body to lean forward with the movement of your left leg. However, the heels should remain firmly on the ground at all times. You should start to feel pressure in your right leg in the area of the calf muscle. You should start out with a slow amount of pressure and gradually work out until there is a stronger amount of pressure in this area. You should then hold the position. The times for this vary, but it is a good idea to hold the position for at least twenty-second or more. As with any type of training for a game in sports, soccer training requires some fundamental skills. These skills can be cultivated many different ways. One of the most popular methods is through observing the skill that you wish to acquire. Once you understand the basic concept of the skill, you should put your knowledge to work by trying it yourself. Generally, the skill must be practiced repeatedly in order to be mastered. Many people use the concept of visualization in order to perfect a particular soccer skill. 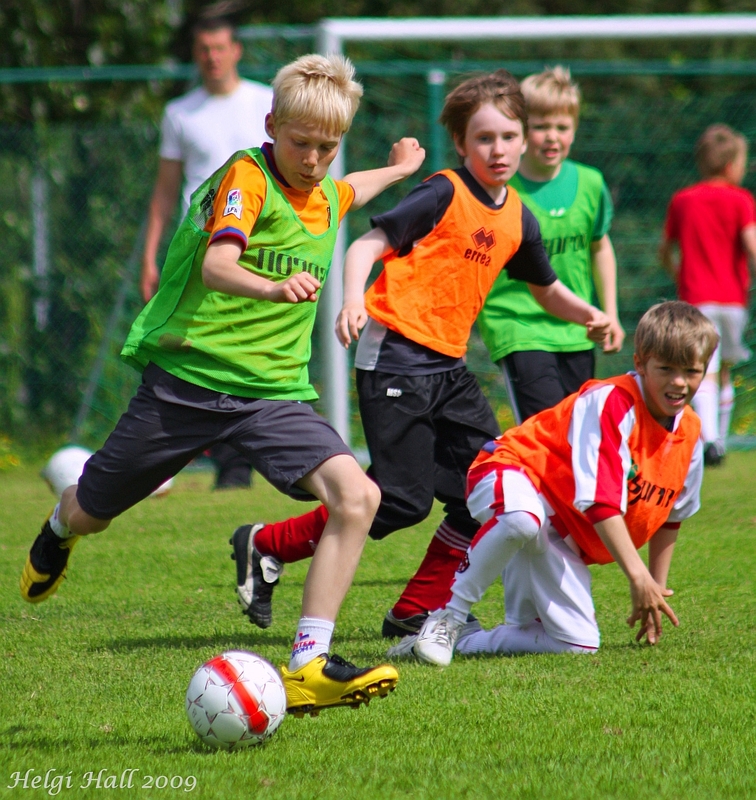 Here, you will learn about the many fundamental skills required for soccer training. The most important thing to understand when it comes to soccer training is that a player is successful when they become accustomed to a certain motion that they perform. As the soccer player continues to practice the skill in which they are trying to acquire, they quickly gain confidence in their abilities. This is the second most important concept to master when attempting to acquire soccer skills...confidence. If you are confident in your ability to perform the skill and continue to practice during soccer training, you will master the skill quickly. In soccer training, it is essential to acquire the skill of kicking. There are two basic types of kicks that are used in the game of soccer. One is referred to as the "ground kick", and the other is called the "volleys kick". These particular kicks in the soccer game are established by how the ball is positioned on the ground. When you focus on the skill of kicking, it is important that you also practice balance and the stance of your body. This is the secret behind successful kicks in soccer training. The next essential skill required in soccer training is being able to control the ball. If you are unable to control the ball, the entire team will suffer tremendously. There are a few moves that will allow you to control the ball effectively during soccer training. These moves include the inside cut, cut underbody, and the outside cut. It is important that your coach reviews these moves with you so that you can get in plenty of practice performing them! During soccer training, you will be required to learn the skill of heading. This is the process by which you use the upper side of the forehead in order to create an assortment of "heading" techniques for greater control of the ball. The most popular techniques include the following: diving, standard, glancing, and flick. Your soccer coach will accurately describe all of these heading techniques so that you can master this particular skill in your training regime. Dribbling is another necessary skill that should be acquired during soccer training. There are many different kinds of dribbles. These include cone, basic, intermediate, and advanced. You may learn about the Cruyff move, fake kick move, nutmeg move, stepover move, and more during this part of your soccer training. While there are many methods of dribbling, these remain among the most popular choices in soccer games. 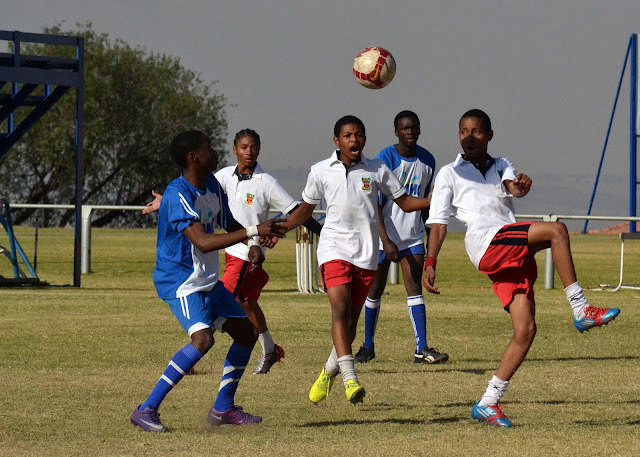 There are many fundamental skills required for soccer training. This article outlines the most basic. If you have any questions or concerns about these moves, or how to perform these moves, you should work carefully with your coach during soccer training. The coach will aid in your overall development as a master soccer player.